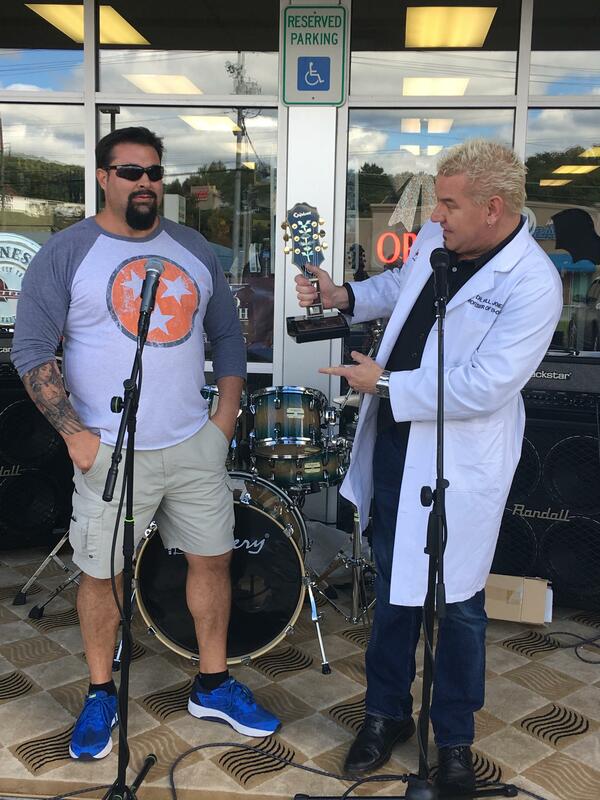 Hats off to Epiphone's 2018 Dealer of the Year, Honeycutt Music in Johnson City, Tennessee and the store’s mighty leader, Chris Honeycutt, who can also claim to bench press 450lbs (“More than one time!"). 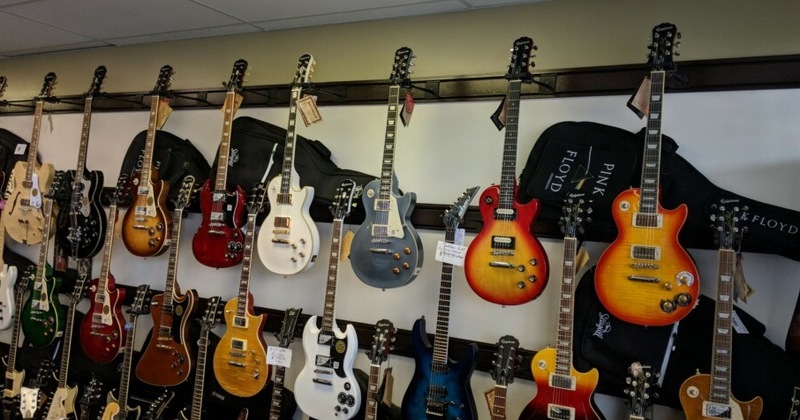 Honeycutt Music located at the Oakland Center, 525 West Oakland Avenue in Johnson City, is a haven for beginners and pros alike who love to jam out on the latest arrivals from Epiphone, Kramer, and Steinberger in Honeycutt's spacious and friendly store. "This is a nice area and we do really well with Kramer and Epiphone," said Honeycutt. "In fact, today I just sold the Epiphone Les Paul Custom 100th Anniversary Outfit. I used to sell Epiphones and Kramers used before I got to be a dealer. And it has really taken off well." Before Honeycutt received the 2018 Dealer of the Year, he had no idea such an award existed, probably because he was too busy selling guitars! "Honeycutt Music has been an amazing addition to our dealer network," said product specialist and Epiphone, Kramer, and Steinberger guru Will “Dr. Epiphone” Jones. "The chief reason is Chris Honeycutt himself! He's one of the most enthusiastic dealers I've ever known. He's got a heart for customer service, deep knowledge of the products he sells, and understands that we are all like big kids in a toy store, himself included. The love for music and people that Chris' parents passed on to him really shows. I'm proud that he offers Epiphones, Kramers and Steinbergers to his friends and neighbors." Honeycutt noted that since he became a dealer, both his staff and his customers have noticed that every Epiphone he receives is ready to be played right out of the box. “The quality and the value-for-the dollar is what makes Epiphone so great," Honeycutt continued. "Playability is also a big part of it. The quality control is so good that we never have any issues, even in the least expensive models. The name stands really strong. It’s been a household name for over 140 years! We also feature you in our local newspaper. The local players really dig that there’s an Epiphone and Kramer dealer in the area. People have been starving for it for a long time. Keep it up, Epiphone!" Visit the store's website for more info and a big congrats to Chris and his staff from all of us at Epiphone!